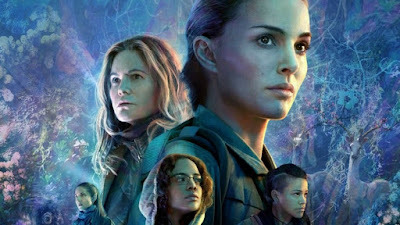 This blogpost will be a semi-review of Annihilation but also more my thoughts on Netflix releasing a movie originally meant for a theatrical release. If you didn’t know, Annihilation was always supposed to have a theatrical release (and it has in America), yet Paramount sold the international distribution rights to Netflix. As a result, we got to stream a movie on Netflix in the UK within weeks of its official opening in theatres in the US. I think this is the first time this has ever happened. This isn’t quite like The Cloverfield Paradox in which the production studio knew they didn’t have a great movie on their hands and off-loaded it to Netflix. Annihilation is a genuinely great movie, but it sounds like Paramount were unsure it would sell overseas (for being too intellectual) so took the safe bet and sold it to Netflix. 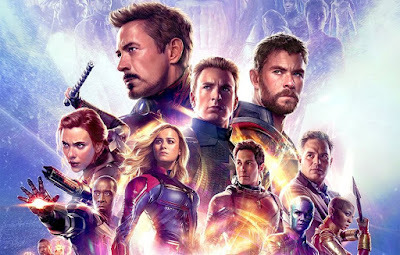 However, as a parent it’s become more difficult for me to get to the cinema as frequently as I’d like (or used too) to see the latest releases. So for a new film of this quality to be released very close to its US release date, and for me to have the convenience of watching it in my living room, then I’m a huge fan of it. In my own selfish way, I honestly wish more films would do it. Now there are films I’ll always make the effort to get to the cinema for, the Marvel’s, the Star Wars, the big blockbuster franchises, etc. However the smaller indie films, probably not as much, I’ll wait for DVD (or even ironically Netflix), so to get these types of film releases as early as possible is a great win. I know I can’t replicate the cinema experience at home, but I can get close, I watched Annihilation on a decent 43’ LED TV, with the lights off and with my surround sound headphones on. It’s not a cinema, but it’s a damn lot closer than watching on my phone on a bus to work. Honestly, it was a great viewing experience, and I hope we get more like this in the future. The premise sees Natalie Portman’s biologist character’s husband return from a mysterious disaster zone which has left him in an ill-state of health. As a result she joins a dangerous expedition back into the area to see if she can find the answers she needs to help him. I don’t want to say anything else for fear of spoiling it, and to be honest I’m not sure I could explain it effectively anyway (without seeing it a second time)! Overall Annihilation is a really excellent film, it has some very high-concept and heavy sci-fi elements but it is also a very entertaining adventure / monster movie. I definitely got vibes of a Jurrassic Park / King Kong style movie in its second act. It’s a shame we can’t see some of these sequences on the big screen, a scene with a mutated bear is particularly intense. The first two acts are fairly straightforward and easy to follow, however the final act is where it goes very high-concept and the intellectual sci-fi elements really kick in. I definitely need to read into theories of what it all means, but don’t let this scare you off, it’s a really great film and I highly recommend you check it out.